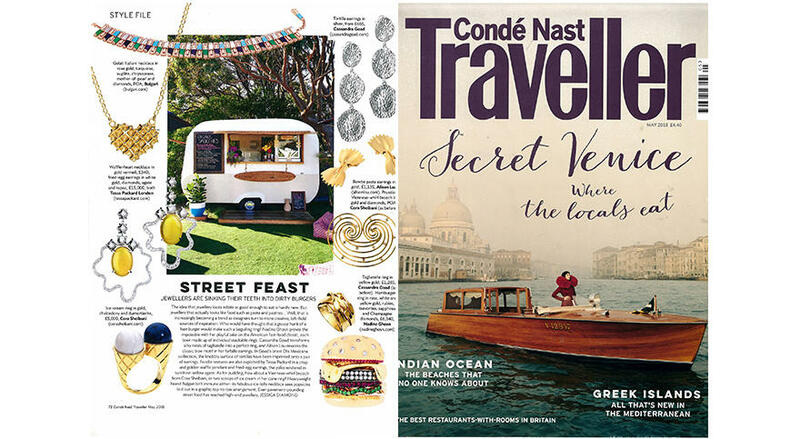 Our Tortilla Silver Earrings, inspired by handmade tortillas of the Yucatan, and Tagliatelle Gold Ring, resembling bundles of tagliatelle pasta, fit perfectly into this month's Conde Nast Traveller feature on the upcoming trend of food inspired jewellery. Like what you see? Have a look here!